Oasis brought the northern lad culture to Britpop in the mid 1990’s. The Smiths took British fashion to new levels of imagination and flair in the 1980’s. Just look at the use of Morrissey’s flowers! The Kinks went head to head in a fashion war in the 1960’s with bands such as The Beatles, The Who and The Small Faces. As all Britpop fans know it isn’t just the music which creates the overall scene, its the competition between bands to be the best dressed. In the 1960s we had The Kinks versus The Beatles, with The Small Faces and The Who leading the new smartly dressed, suit bearing mod scene. It seems the times have moved on since the 1960’s ideals of sharp suits, super tight trousers and velvet jackets but the core values of Britpop fashion still live on today. As we saw in the 1980s and early 1990s when The Smiths and the Stone Roses were the leaders in the new “Baggy Britain” scene, Britpop fashion has always evolved and changed. 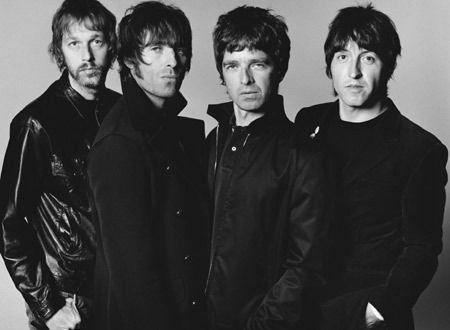 Oasis brought on the parkas and leather jackets in the 1990’s with Liam Gallagher becoming particularly synonymous in the fashion scene, starting his own clothing label Pretty Green in 2010. Liam’s older brother ,on the other hand, Noel Gallagher has just recently won a GQ award for being a rather well dressed chap (even beating the likes of his younger sibling, Arctic Monkeys Alex Turner and the walking fashion machine Miles Kane in the process). But I suppose the main question is: Who can be named as the “Best Dressed Britpop Band Of All Time”?